As a healthcare specialist, it is important that your medical health center has a system in place that optimizes payments while providing a high level of care to patients. 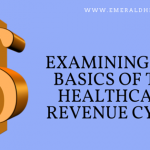 The medical billing process can be highly complex and is often an invisible part of the healthcare system and there are so many ways in which the billing process can become costly, ill-effective and time-consuming. Currently, millions of Americans are paying too much due to miscalculations and this could lead to unlawful charges and this is the last thing you want for your medical practice. For any health care center, one of the biggest hurdles may be to collect money from the patients and this can detract from the time required for training, keeping up-to-date with new advances in medicine, or caring for those who need it. There are many people who need medical assistance and yet, do not have the insurance to cover it or the money to top up any claim thereafter. This alone adds a huge amount of time to the administrative processes which can add to the frustrations of the day. Top of the list must be how to increases efficiency so that the service becomes streamlined while providing an effective service that ticks the boxes for all concerned. Sometimes we shy away from upgrading systems providing they still work but, it pays to take advantage of new technology that can provide a considerable advantage over any current systems or billing providers. Think about it, having access to a system that updates as soon as the legislation changes mean that there are fewer problems detecting new trends in respect of denials. Imagine having automated claim edits, eligibility checking or charge entry options. 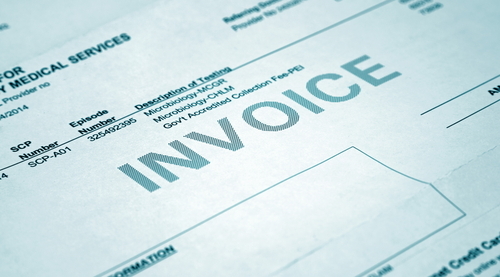 Equally, if new systems are not desired, it’s worth outsourcing all medical billing and coding to the professionals. Being on top of the game when it comes to medical billing is likely to be a huge relief as this means medical staff can focus on doing what they do best. Custom reports are often available – certainly on up-to-date medical billing technology and this can provide key information which can help with identifying payment errors as well as aid the decision-making process. This can save a considerable amount of time. While nobody wishes to involve collection agencies to chase down non-payments, we all know that it happens. One of the best ways to ensure medical billing efficiency is to check and double-check that you have the right contact details for the patient. This will form a critical aspect of the data collection process. As soon as the patient checks in, their insurance information should be noted and at this point, ensure that you have the right contact details too. It’s important to ensure that the terms of payment are readily available or visible for all patients. This way, the patients understand the billing system and processes within this medical facility. Details of upfront payments, billing procedures, co-payments or insurance requirements should be clearly listed. Then there is no excuse for patients to not understand or pay for their treatment. Draft Rules Released for MACRA, Are You Covered?